NEW YORK, NY – FOX Sports offers more coverage than ever before of the 141st Westminster Kennel Club Dog Show with nearly 30 combined hours on FS1, FOX Sports GO and Nat Geo WILD during Westminster Week. Action on FS1 begins Sunday, Feb. 12, with the Masters Agility Championship at Westminster and runs through Tuesday, Feb. 14, when for the first time ever on FS1, the Westminster Kennel Club crowns its “Best in Show”. FS1 is the television home for the Westminster Kennel Club Dog Show, the second-longest continuously running sporting event in the United States, on Monday and Tuesday, Feb. 13-14 at 8:00 PM ET live from Madison Square Garden. Westminster Kennel Club Director of Communications Gail Miller Bisher provides expert analysis of the breeds alongside FOX Sports veteran announcer Chris Myers, while backstage correspondent Katie Nolan, reporter Karyn Bryant and host Jenny Taft also contribute to the network’s coverage of the event. Monday’s presentation crowns the Hound, Toy, Non-Sporting and Herding group winners, while Tuesday’s telecast names winners in the Sporting, Working and Terrier groups, plus Best in Show. Following the group judging and “Best in Show” on Monday and Tuesday nights, FS1 presents the first ever Westminster Kennel Club Dog Show post-shows, recapping the events from both nights. The wrap-up shows feature analysis and reporting from Bisher, Myers, Nolan, Bryant, Taft and FOX Sports @TheBuzzer correspondent Rachel Bonnetta, who also provides behind-the-scenes digital coverage for breed, group and Best in Show judging during Westminster Week. Monday and Tuesday nights’ telecasts are streamed live on FOX Sports GO with television provider login, and viewers can use the hashtag #WKCDogShow on Facebook, Twitter and Instagram for a chance to be featured during Nolan’s social segments. FS1 and FOX Sports GO carry the Masters Agility Championship at Westminster finals on Sunday, Feb. 11, at 8:00 PM ET with Justin Kutcher, Terry Simons and Jennifer Hale on the call. Sunday’s telecast is the fourth annual event from Pier 94 in New York City in which the nation’s swiftest canines run, jump and weave for the right to be called top dog. Click HERE to watch last year’s winning run by Holster the Australian Shepherd. Before moving to Madison Square Garden on Monday, Feb. 13, FOX Sports GO offers live streams from 8:30 AM-5:00 PM ET from 10 different rings during breed judging in the Hound, Toy and Non-Sporting groups; the Junior Showmanship Preliminaries; and the Masters Obedience Championship. From 2:00-4:00 PM ET, Nat Geo WILD offers select coverage of breed judging and the Masters Obedience Championship. On Tuesday, Feb. 14, FOX Sports GO once again provides live streams from 10 different rings for breed judging in the Sporting, Working and Terrier groups; plus the Junior Showmanship Preliminaries from 9:00 AM-5:00 PM ET. Nat Geo WILD is live from 2:00-4:00 PM ET with select coverage from both events. Kutcher is joined by accomplished judges Paula Nykiel and Jason Hoke for daytime breed judging. Breed judging on FOX Sports GO requires no television provider information, and viewers can watch up to four rings simultaneously through the Multi-View function available on desktop and select connected devices. Content available on FOX Sports GO can be streamed live on FOXSportsGO.com, WestminsterKennelClub.org or on the FOX Sports GO app, which can be downloaded from iTunes, Google Play, Amazon App Store and Windows Store. Streaming on FOX Sports GO is now available on several connected devices, including Apple TV, Roku, Chromecast, Xbox One, Android TV and Fire TV. Visit WestminsterKennelClub.org for the full television and streaming schedule and for streaming FAQs. In July of 2015, FOX Sports and Westminster Kennel Club announced a 10-year agreement bringing Westminster Kennel Club’s conformation show to FS1 and Nat Geo WILD beginning with this year’s event. FS1 remains home to the Master’s Agility Championship at Westminster through 2026. 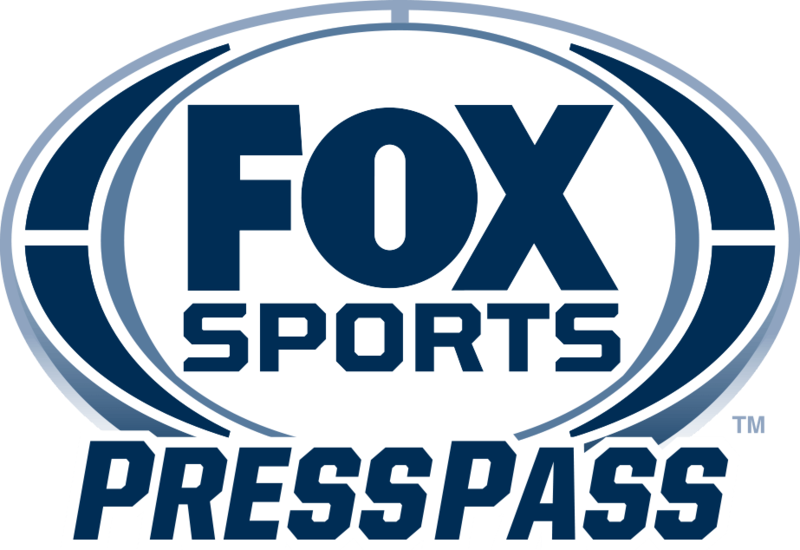 For more information, including biographies and photography, visit FOX Sports Press Pass.